Your name shall . . . be called . 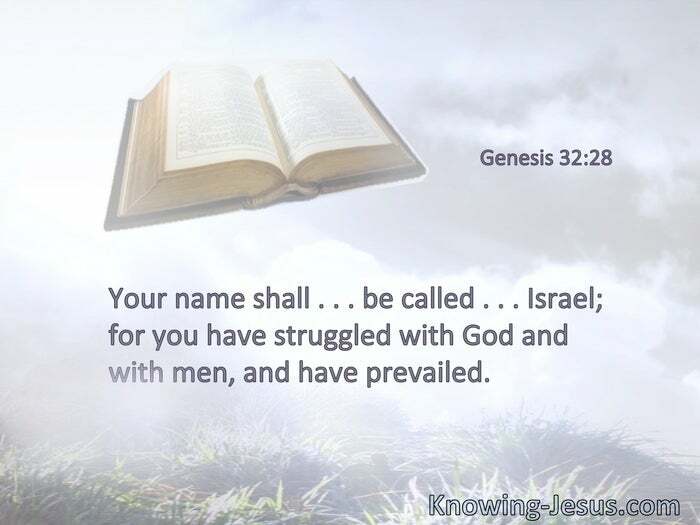 . . Israel; for you have struggled with God and with men, and have prevailed. In his strength he struggled with God. Yes, he struggled with the Angel and prevailed; he wept, and sought favor from Him. § [Abraham] did not waver at the promise of God through unbelief, but was strengthened in faith, giving glory to God. Have faith in God. 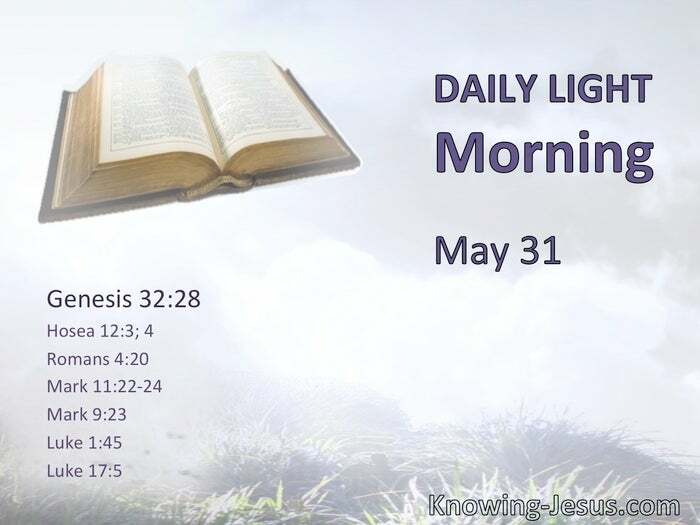 For assuredly, I say to you, whoever says to this mountain, “Be removed and be cast into the sea,” and does not doubt in his heart, but believes that those things he says will be done, he will have whatever he says. Therefore I say to you, whatever things you ask when you pray, believe that you receive them, and you will have them § If you can believe, all things are possible to him who believes. § Blessed is she who believed, for there will be a fulfillment of those things which were told her from the Lord.